Hello everyone! I’m Lauren, and this is my first post on Les Trois Pois! My roommate came to visit before school starts, so while she was down here, we decided to get a head start on stuff for our dorm room. Our big project was making the headboards to spice up our otherwise bland dorm beds. This project was surprisingly easy! 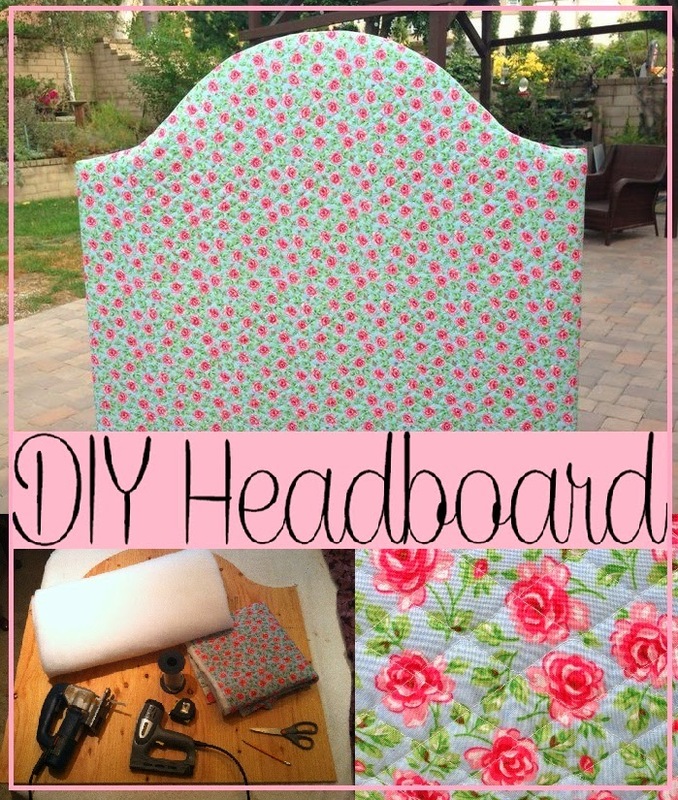 Here are the steps for how to make your own DIY headboard (click on the photos to make them bigger!). Fabric: We bought our fabric at Joann's Fabrics, and had them cut the pieces to the size we needed. 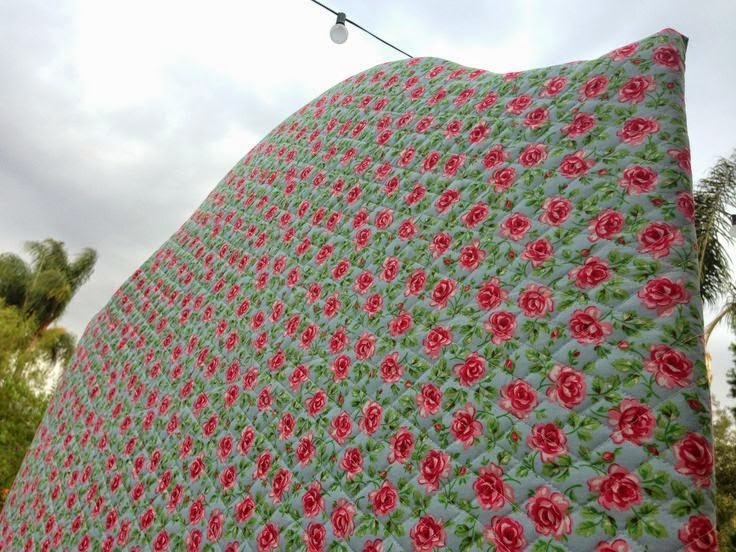 You can use any type of fabric, however, thicker fabrics are less likely to rip and will provide more cushion. 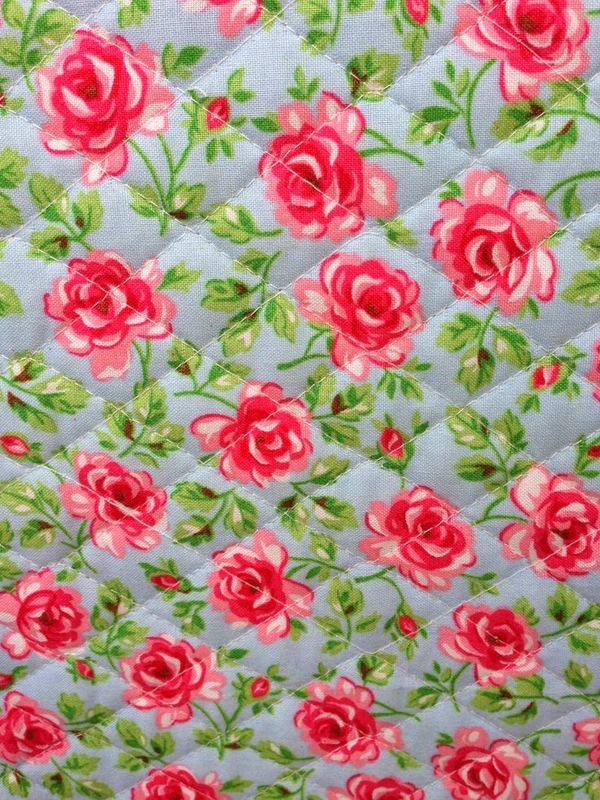 We ended up buying cotton quilted fabric because we liked the thickness and the stitching. Our beds are 39" wide and we wanted the headboard to be 36" high, so we purchased 43" by 40". That way there would be two extra inches on each side. We purchased the same amount of batting. Wood: We chose the ½” plywood at Home Depot because it was relatively light and inexpensive. They also cut it to scale for us which was super nice! 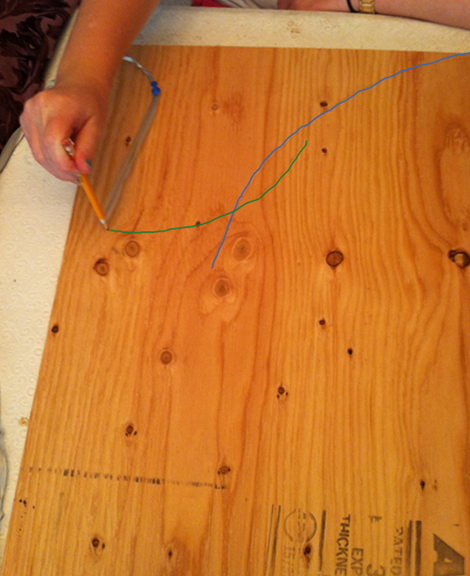 First, draw a straight line lengthwise down the center of the board. Next, place the thumbtack (with string attached) somewhere on this line. This placement will depend on how long your string is and how steep you want your curve to be. You want the tip of the string long enough to reach the very edge of the board, but short enough to leave room on the sides for the other curves. Just keep adjusting until you find a curve that will work for you. (You are basically just making your own compass, see below). For the next two curves, you will have to place the thumbtack in the upper corners. Again you will have to adjust the spot you put the tack based your curve preference, but you want these curves to intersect with the big curve you drew in the center. Also make sure that you place the tack in the same position on both sides to guarantee that your board will be symmetrical. An easy way to adjust the string is to tie a knot to secure your place. In the second photo, I colored the main curve blue and the second curve green so you can see the intersection. Lay the batting on a table, center the wood on top, and then cut off the extra fabric on the top corners. Ok! Now staple the batting to the wood with the staple gun. You just need enough staples to secure it because you will be adding a lot more when you attach the fabric. The curves are a little more difficult, but just cut some 1-2 inch strips into the batting so that it lies flat. You may need some extra hands to help! My mom was sweet enough to help us! Before you start stapling, place a little bit of batting in the corners to provide extra cushion. This will keep the corners from ripping easily. Then it’s the same method as the before, but with more staples! You want to make sure everything is smooth and secure. For the corners, pinch the fabric, smooth down as shown below, and staple away! And then you’re done! Woo! Thank you for reading my post! Please leave a comment below with any questions, and let us know how your headboards turn out! 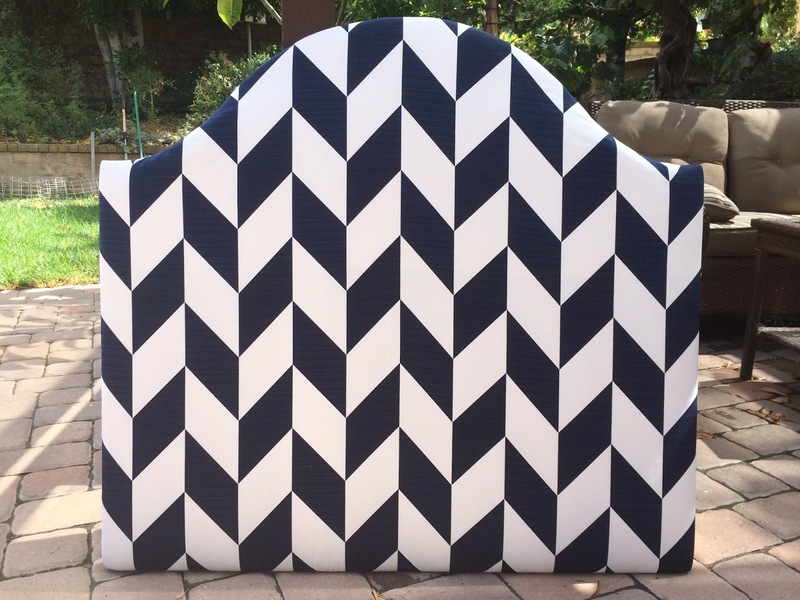 New school year means new headboard design! 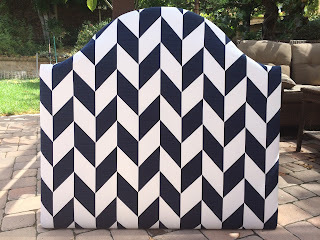 The color scheme in my room has changed, so I decided to give my headboard a makeover! 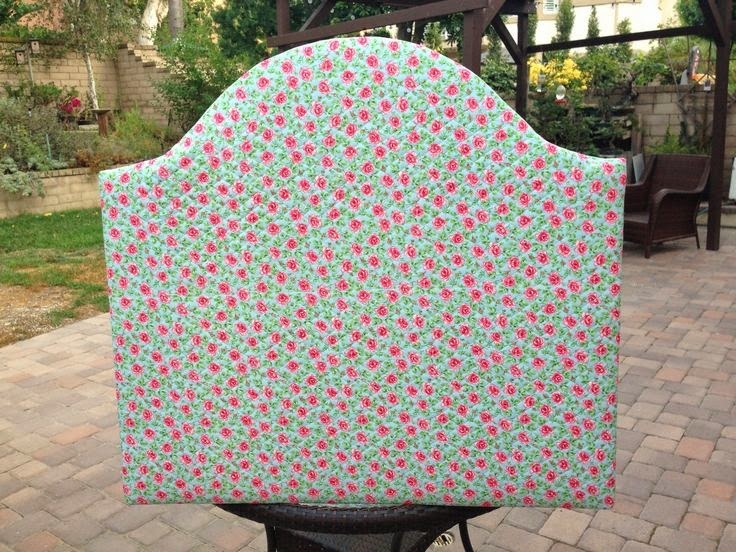 It is the same headboard, I just added on more fabric! so how did it work in your dorm room. my daughter wants me to make her one for this semester. Oh my, yours is so AWESOME! Thank you so much! Sorry for the late reply! We screwed two 2x4s onto the back, and then zip-tied those to the bedposts! A blog created to help us keep in touch through college.